MONA LISA is a very nice mare, with a good balance and a very good canter. She has blood and energy for take-off she is carefull and fast. 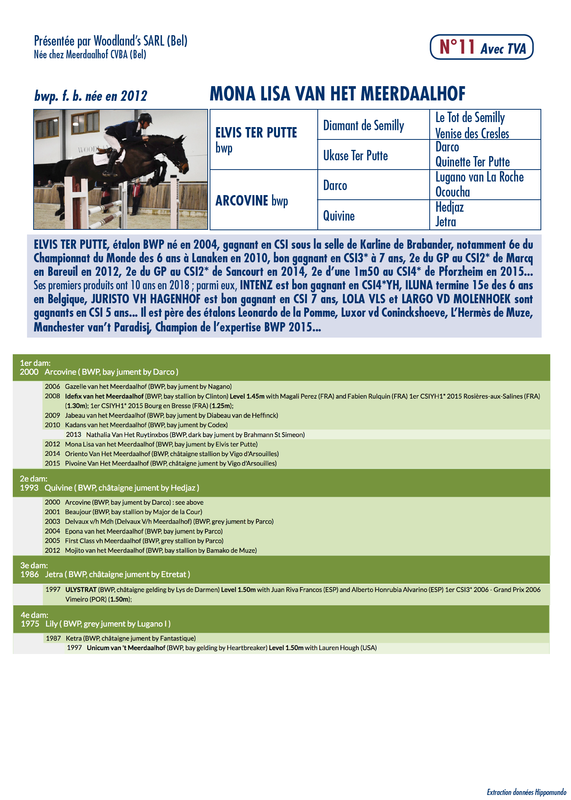 Very interesting mare with a promising future as a speed class horse.